The barn was located on the north side of the track between turns 13 and 14 near the main gate from Hwy. 67 (formerly Hwy. 57). 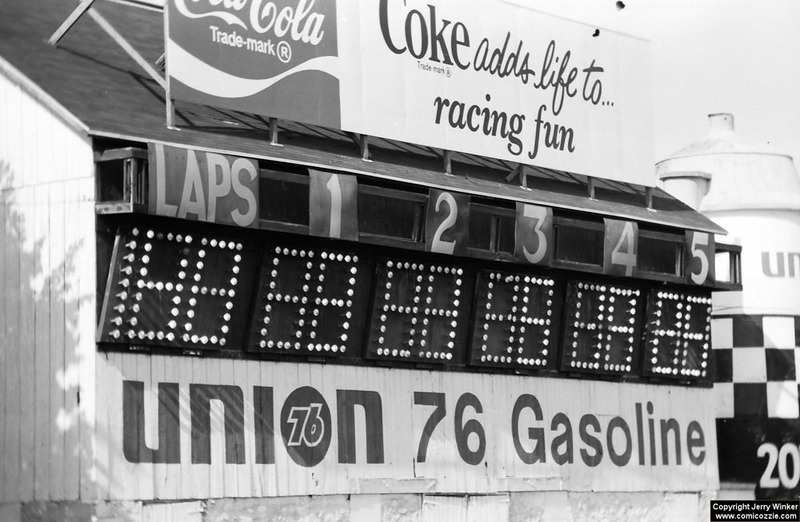 By the early 1970s a large illuminated scoreboard was attached to the south wall. You could read from a half-mile away. Standing next to the barn was an old concrete silo. 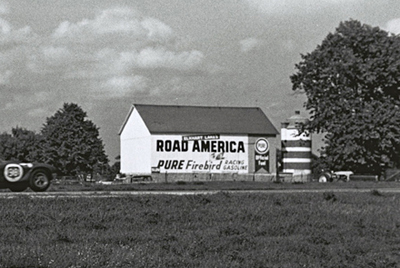 They both played host to advertising by purveyors of beer and petroleum products. One-in-the-same as some would say. Union 76 Gasoline was one of the silo's first brandings. It was then made over to resemble a can of Miller beer. The decision to remove the barn was not made in haste. It began with issues that implicated the design and location of Mitchell Bridge. There were two traffic-crossing points on the north end of track. A small road crossed the surface between turns 13 and 14 and headed straight into the competition paddock. But, the path was closed much of the day while cars were on the course. The other traffic route wandered away from the paddock to Mitchell Bridge, which crossed over turn 13 at Fireman's Hill, then ran back toward the paddock, much like a detour. The bridge's load capacity and narrow lanes were less than ideal, especially with big rigs carrying multiple cars and heavy equipment. It was the only route open during racing on the north end. 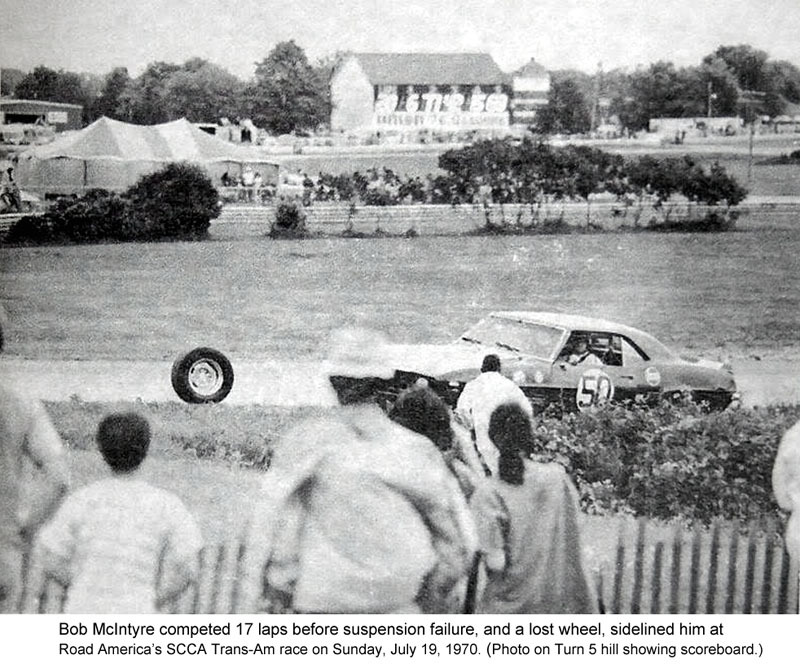 On the track itself, Mitchell Bridge was a major hazard staring drivers in the face on every lap. It was poorly located at the apex of turn 13, which was somewhat of a blind uphill bend driven flat out. The vertical concrete abutments were only as far apart as the width of the course, which was originally paved at 27-feet. It was the site of some violent wrecks in previous years. Track officials and owners decided it was time for the bridge to go. It was part of a large-scale improvement plan to remove the hazard and address the problem of moving traffic through the area, especially with the closing of a major route. The only practical solution was to build a traffic tunnel crossing under the track, right on the old paddock road. 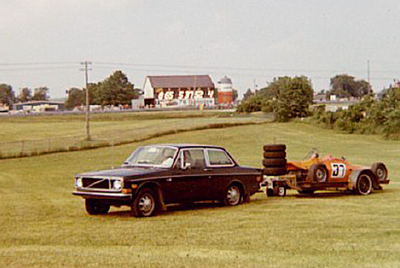 It also involved relocating the competitor's entrance located by the old farmhouse and barn, so it was in alignment with the existing paddock road. It created the axis needed to address the flow of traffic. The realignment afforded race rigs a straight shot into the paddock without the hassle of negotiating turns. 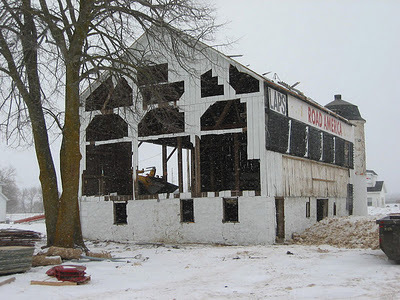 Like any development story, the barn and silo were standing in the way of progress. 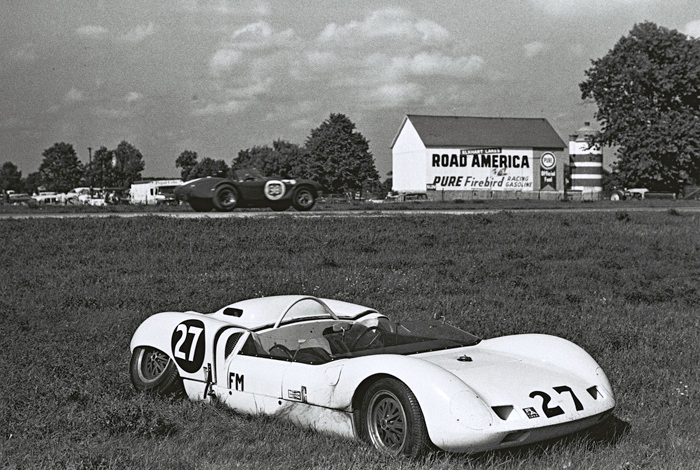 It was a vital route needed to feed Road America like car starved of fuel. The cost of the entire project was $1.5 million, which included removal of Mitchell Bridge, the silo and barn with its scoreboard. 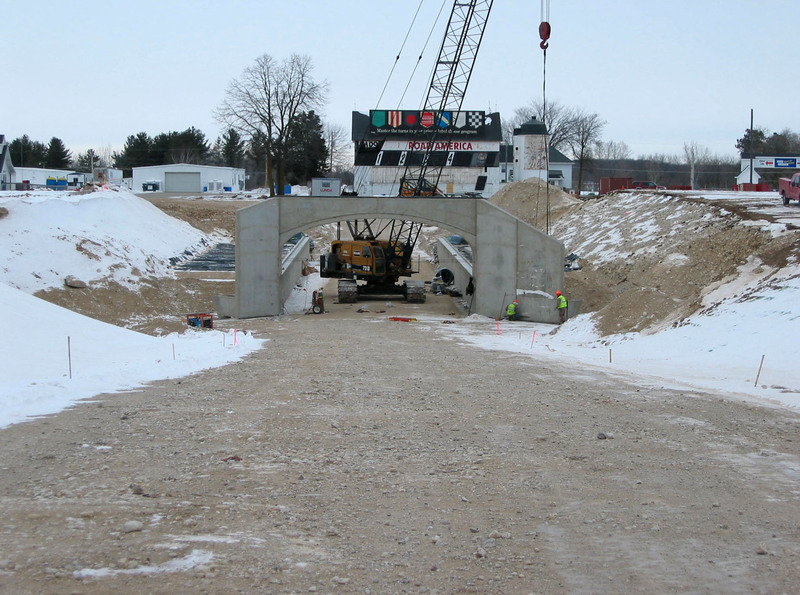 In December 2006, excavation began for the new tunnel. They dug a trench right through the stretch of track between turns 13 and 14. All the work was completed in Spring 2007. Anyone see a wheel rolling around here? 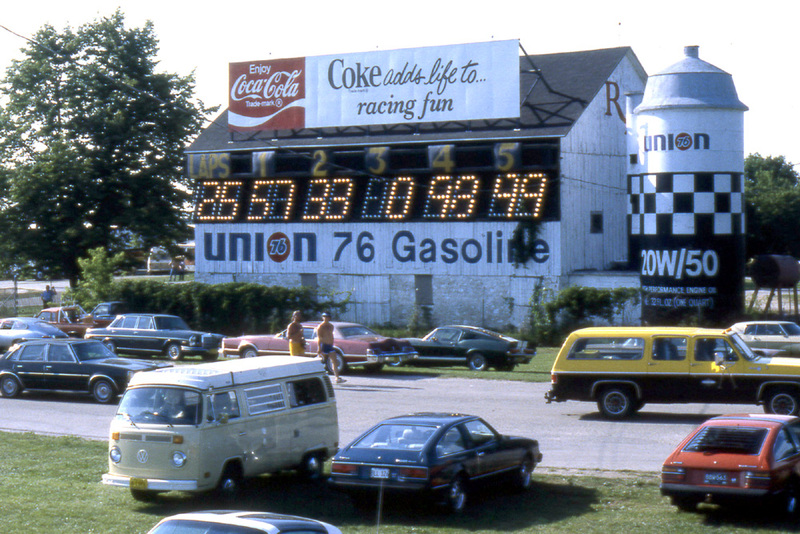 This is earliest photo I have of the scoreboard on the barn across the infield. 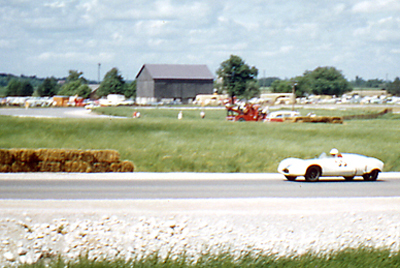 Photo (looking northeast) from hill at Turn 5, during SCCA Trans-Am Over-2-Litre race on Sunday, July 19, 1970. Mounted on the barn's south wall was a big scoreboard illuminated by 333 lamps. It displayed the lap number and positions of the five leading cars. 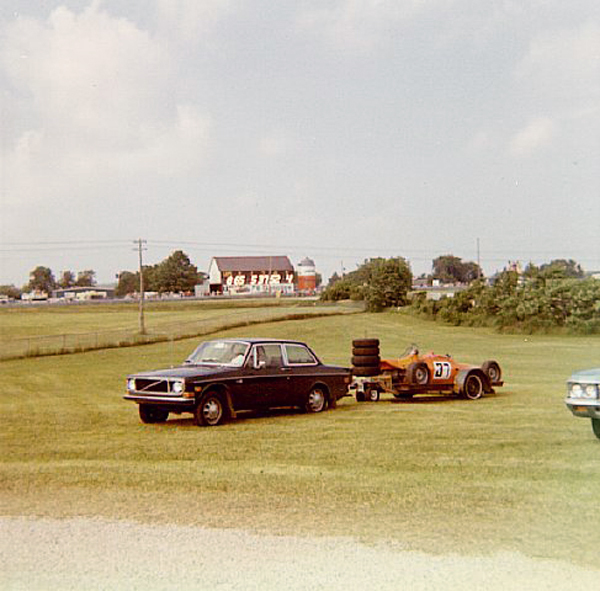 It was highly visible and convenient for spectators sitting on Fireman's Hill and could be seen about a half-mile away from the paddock. Each number was about 5 feet in height. Despite a few burnt out bulbs the board reads, 25 laps, followed by car numbers 25, 57, 33, 0, 98, and 99. This photo shows the results of the Trans-Am race on Saturday, July 19, 1980. 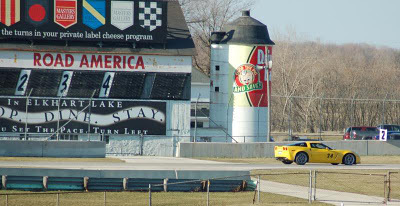 On the barn's gable end wall behind the silo are the letters R A for Road America, which was the track's original logo from 1955. 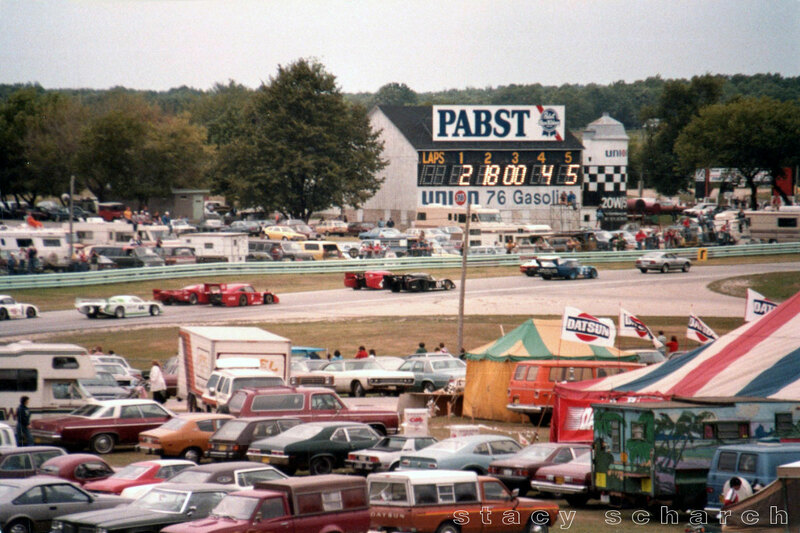 I took this photo during the pace lap for the 1982 Pabst 500 IMSA Camel GT endurance race on Sunday, August 22, 1982. 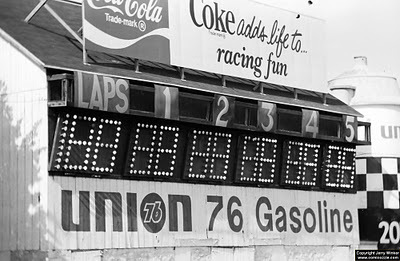 The scoreboard shows the order of the cars that qualified for the starting grid. (ABOVE) The display for laps is empty because cars are on a pace lap. Passing in front of the barn at slow speed the GT cars head toward T 14, the final corner turning onto the main straight, which climbs the hill and drivers anticipate seeing the green flag waved at the last second. The Pabst sign was the new sponsor added to roof of barn in 1982. 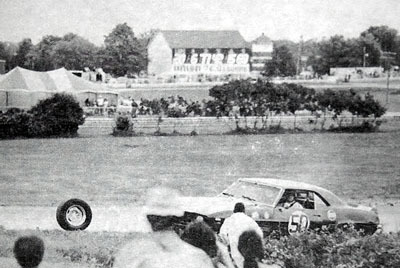 Augie Pabst, heir to beer fortune, was a serious driver and raced at R/A in the 1950s and 1960s. He has long been an ambassador and supporter of Road American and the Elkhart Lake Historic Race Circuits. 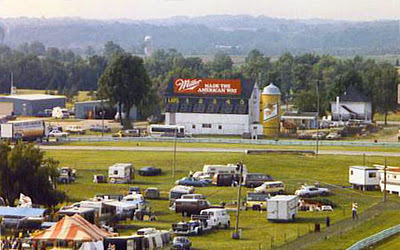 By 1984, the barn had a Budweiser sign on the roof. 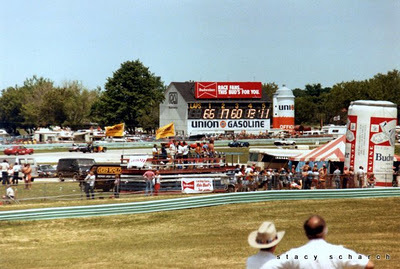 (ABOVE) The Union 76 sponsor remained as it had for several years, but the bottom half of the silo was changed to red and removed the 20W/50 oil viscosity. Maybe there too many differing opinions over what oil weight to dump in your car. View from main paddock (looking northwest) at the barn and scoreboard between turns 13 and 14 in 1989. From left to right: blue metal garage buildings, barn, silo and the old farmhouse (extant). The approach for the tunnel now goes through middle of barn and under track. (ABOVE) The north end of track showing location of barn and silo. 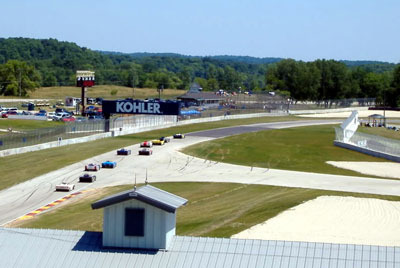 The 4-mile road course runs in front of barn. 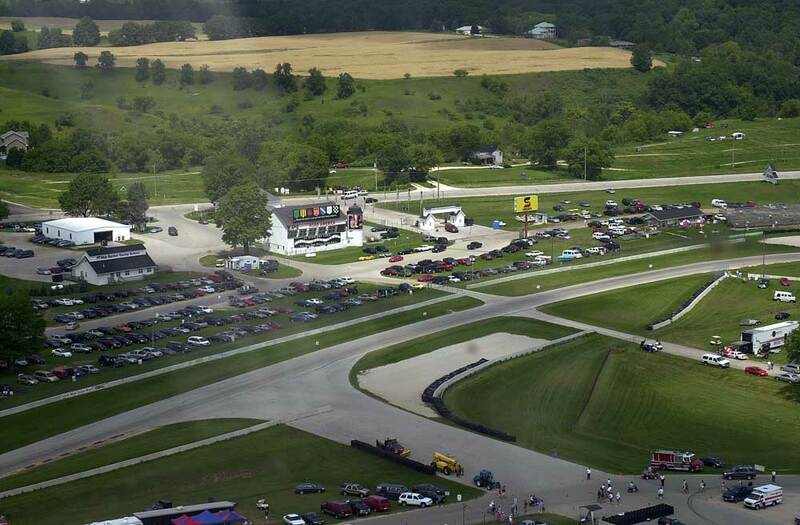 The infield is the paddock for competitors tow vehicles, car haulers and campers. At far right is the backside of the timing and scoring shack with trailer add-on attached. It setup was positioned on the inside of turn 14 (out of picture). 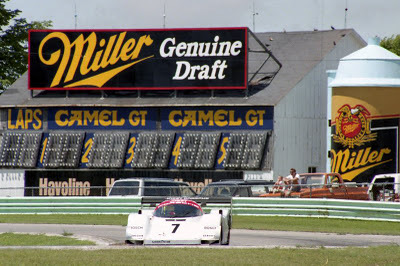 Exiting turn 14 is the GTP Porsche 962C prototype car of Joest Porsche Racing. Co-drivers, Winter/Reuter drove #7 to victory in the Piggly Wiggly Grand Prix, IMSA GT endurance race on Sunday, July 11, 1993. Much of the track's natural wonder is gone. 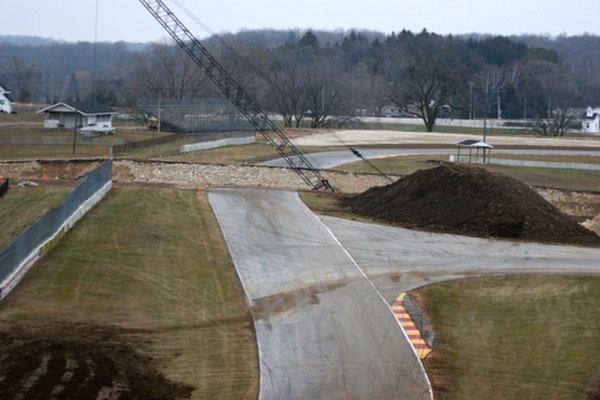 In the name of safety, Road America's scenic road course slowly changed from the look of an old countryside road to more of an urban freeway. The course itself has remained unchanged, but is safer for drivers, track personnel and spectators. Aerial view looking northeast at the road course, running from lower left to middle right in photo. The barn, scoreboard and silo are at center. The narrow paddock road runs diagonally across the track where the tunnel was laid. Photo from 2006. Road circuits saw several safety updates over the years, including large run-off areas, tire walls with concrete barriers and a lot of containment fence. At the center of photo is a gravel trap, which helps reduce speed of cars skidding off course. 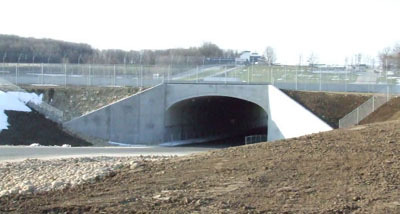 Tire walls (in black) line the face of new concrete barriers to help cushion any impact. The main gate on highway 67 was used by competitors and race officials to gain entry to Road America's 628-acre facility. But, the old barn stood in the way of plans for a new main entrance point into the paddock. A tunnel was the ideal answer for moving a traffic, which would also increase after removal of the 1955 Bill Mitchell bridge. 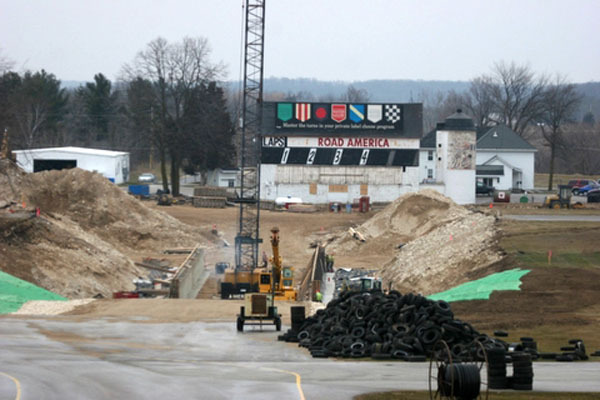 On December 5, 2006 Road America began a $1.5 million construction project, which included the addition of a new tunnel to the paddock and the removal of the Bill Mitchell bridge. The project was part of the track’s long-range facility improvement plan. 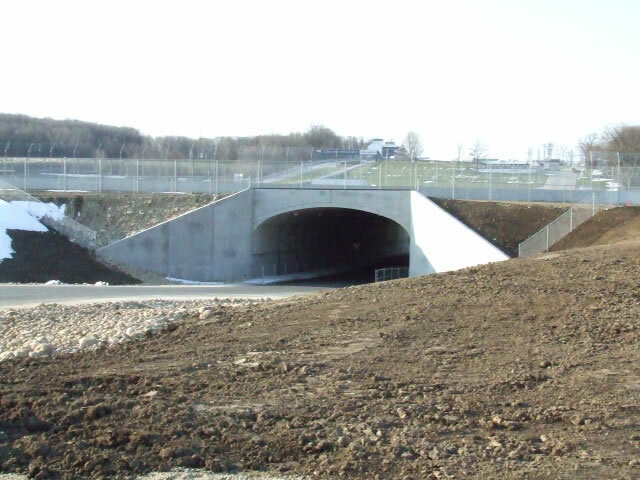 The new tunnel is located approximately 100 yards south of the farmhouse office. It was placed between turns 13 and 14, right where the old paddock road crossed the track surface and allowed unfettered access to track's infield. The tunnel was designed to accommodate two lanes of vehicle traffic and two pedestrian walkways, it has a 16-foot clearance, is 36-feet wide and 168-feet long. 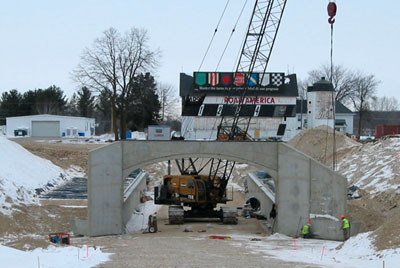 McMahon and Associates of Neenah, Wisconsin, designed the tunnel and Lunda Construction Co. was the general contractor. The pre-cast concrete roofing structure enabled the tunnel to be ideally located near the farmhouse office and Gate 1, which became the main entrance point into the paddock. 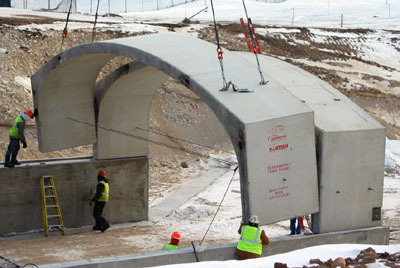 Installation of the tunnel was completed in April 2007. The track section above it was replaced and appears as though it had never been disturbed. 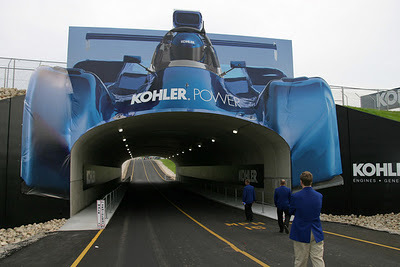 The new Kohler Tunnel was dedicated on June 1, 2007. Tunnel excavation began December 5, 2006 and is well underway. The view (looking north) down the trench, which cuts through the track just before T 14. In the middle of the path is the barn, which was demolished along with the silo in February 2007. 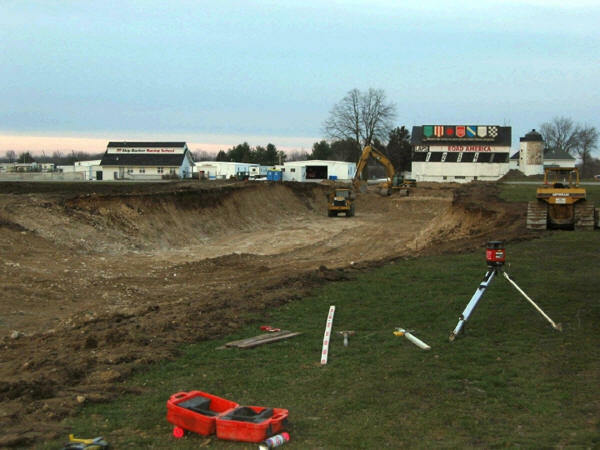 Unfortunately, the old barn had to go in order to make way for the new traffic tunnel and route into the paddock. It was part of a $1.5 million improvement project, which removed the hazardous bridge at turn 13 and streamlined the flow of traffic entering the paddock infield. 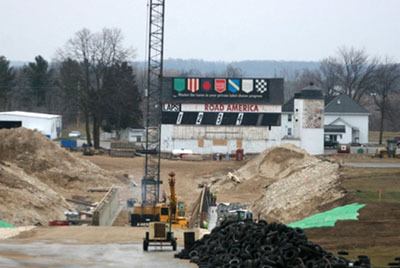 The Road America barn, silo and scoreboard during demolition on Feb. 13, 2007. The tree actually survived and is now surrounded by asphalt and what is now a busy intersection on the track's outer perimeter. 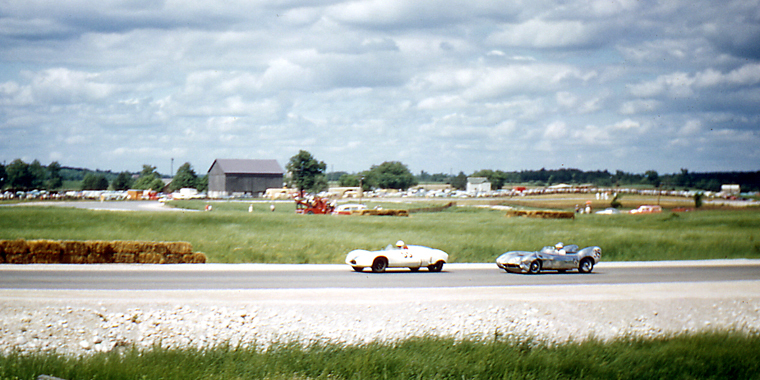 The barn was right in the path of the tunnel's north end and was one of Road America's busiest intersections. It is where wall roads meet on the track's north side, and a point of access to the infield paddock. 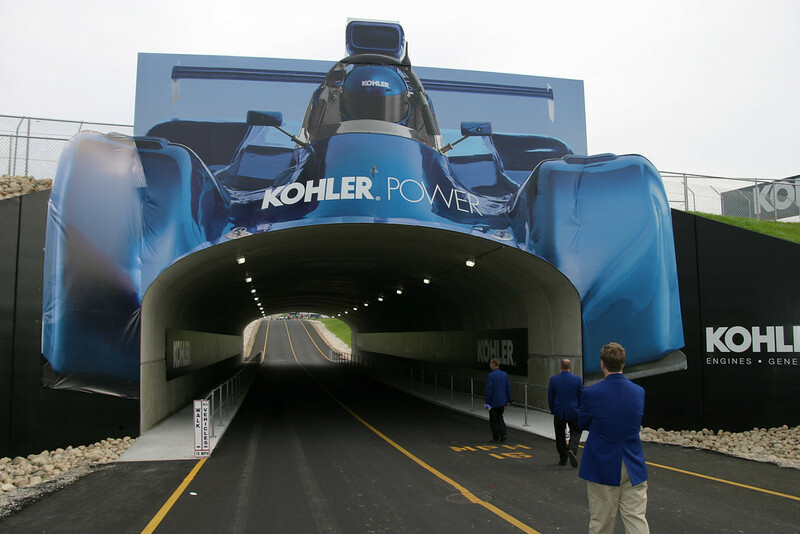 The northern portal of the new Kohler tunnel as it receives one final inspection before the grand opening celebration on June 1, 2007. 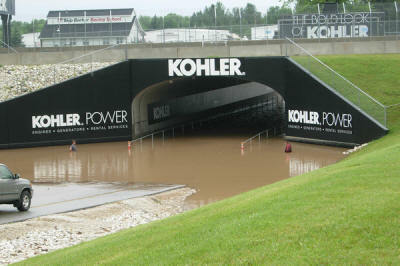 The underpass supports an overpass for the road course and its speeding racecars. It is located between turns 13 and 14. 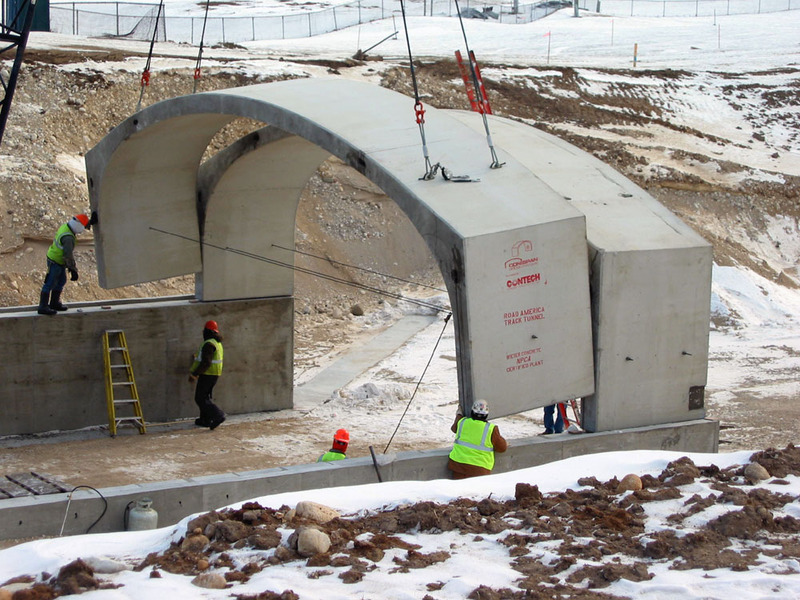 The tunnel is built of multiple precast concrete sections spanning 36-feet. It accommodates two lanes of traffic and two pedestrian walkways, which is twice that of the old Mitchell bridge. The rise is also taller at 11-feet, and the portal is 168-feet in length. South end of tunnel (looking north) flooded during heavy rains in June 2010. A stranded truck is unable to exit paddock. Two men are standing waist deep in water on side of roadway. The original 4-mile, 14-turn track configuration has never been altered. Millions of dollars in improvements have been spent throughout the years, since the renowned racing circuit opened in 1955. 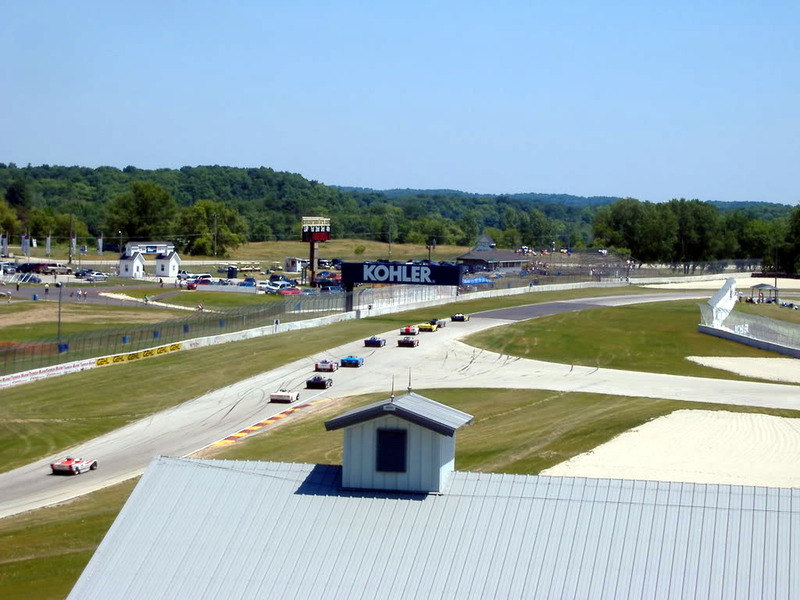 There is a new office, registration and race control buildings, as well as the Road America Center. Several small concession stands built of concrete block are dotted around the grounds and original to the track.